This easy and healthy pizza dough recipe will make delivery a thing of the past! In a bowl, combine warm water, yeast, and sugar. Stir and let sit until the yeast starts to foam and bubble, about 5-10 minutes. Slowly add half of the flour, olive oil, honey, and salt. When flour is combined, add the remaining flour. Mix for 3-5 minutes, until dough is well combined. Once dough starts to form, dump dough onto slightly floured surface. Knead a several times to form a ball. Dough should be smooth and shiny. Place dough in a greased bowl, cover loosely with a towel, and let rise for 20 minutes while preparing other ingredients. When ready to bake, preheat oven to 450 degrees. 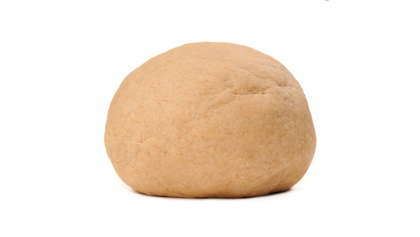 Roll or manually shape dough into a 8-10” inch round. Place on a pizza pan or pizza stone. Spread with desired sauce and toppings. Bake for 15-20 minutes or until crust is golden brown.